You are currently browsing the archives for the Matt Dean category. My conservative friends, it’s time to be honest about a few things. It’s time we admitted that the first 6 months of the Trump administration were stressful, sometimes heartbreaking times. When Sen. McCain gave the thumbs-down to eliminating Obamacare, Republicans’ spirits were pretty low. It’s also time we admitted that the past 6 months have improved significantly. The highlight of the first 6 months was confirming Justice Gorsuch to the Supreme Court. The past 6 months, though, have been just as consequential to the judiciary. Since confirming Justice Gorsuch to the Supreme Court, the Senate has confirmed 12 highly qualified judges to the appellate courts, the most confirmations in the first year of a president’s term in office since our republic was established. To steal a slightly modified version of Joe Biden’s phrase, it’s a big deal to change the direction of the federal judiciary for a generation or more. Hold that thought, though. Next, picture Senate Majority Leader Chuck Schumer. The thought of a Senate Majority Leader Schumer should frighten conservatives who care about the court more than a Speaker Pelosi. Seriously. Pelosi can’t pass anything that can’t be undone the minute Republicans retake control, most likely in 2020. Sen. Schumer, though, can halt the confirmation of great conservative judges in a heartbeat. Judges like Gorsuch, Willett and others would be flushed down the toilet in a heartbeat because Sen. Schumer would demand ‘consensus’ judges. That’s liberalspeak for liberal judges in the mold of David Souter. That’s just one thing that should get Republicans fired up. Another thing that should get us fired up is undoing more of the Obama legacy. I don’t have to be the world’s greatest salesperson to convince Republicans that Obamacare and Dodd-Frank were disastrous pieces of legislation. In order to kill those bills outright, we need the House and Senate under GOP control. Making Minnesota great is totally possible. Making America great is possible, too. Now’s the time to realize just how much we’ve accomplished in DC thanks to one-party rule. Now’s the time to realize how much more we could’ve accomplished in St. Paul if we’d had a Republican to go along with Republican majorities in the House and Senate. Keith Downey made a mistake taking on Matt Dean on health care. While Keith Downey was the chair of the Republican Party of Minnesota, Matt Dean was fighting important health care battles on the front lines in Minnesota. Matt Dean wasn’t sitting on the sidelines. He was fighting and winning health care battles. Let’s remember that this happened when the DFL held overwhelming majorities in the House and Senate. Yes, Tim Pawlenty was still governor but the DFL were only 3 votes short in the House to override Gov. Pawlenty’s veto at any time. Right. It’s instinctive for Republicans to take ABM’s statements as Gospel fact. It isn’t like we’ve ever caught them lying, right? Oh wait. I’m certain we’ve caught them being dishonest. The truth is that trusting ABM’s or the DFL’s statements, especially on health care, is like trusting an arsonist to put out fires. The truth is that the only thing that Gov. Dayton and the DFL have proposed thus far to ‘fix’ MNsure is a one-time bailout of people making too much to qualify for federal subsidies. Both sides agree that that’s necessary in the short-term. That isn’t controversial but it isn’t the complete fix for Minnesota’s health insurance crisis, either. Medica has hit its enrollment cap for those buying through the MNsure state-run exchange, meaning only one option for people in dozens of Greater Minnesota counties who want to switch to a new health plan. In those counties, the only option left is Blue Plus, which is the most expensive plan offered. Gov. Dayton and the DFL haven’t proposed a single solution to these families’ situation. By definition, isn’t not proposing a plan that fixes these families’ situation is the equivalent of pushing these families off a financial cliff? It’s worth noting that there’s no need to wait. The caps were agreed to by the Dayton administration. That means this is a Minnesota-only problem. It requires a fix from Minnesota’s politicians. It’s clear that Republicans are leading on this issue. Greg Davids, the chair of the House Taxes Committee, put forward the outline for MNsure/ACA reform. Chairman Davids’ proposal includes fixing things like cost, accessibility, families keeping their doctors and providing families more options in terms of more insurers in all parts of the state. Gov. Dayton and the DFL are one-trick ponies. They haven’t proposed fixing anything. They’ve proposed maintaining the status quo. That isn’t leadership. That’s political cowardice, coupled with the DFL’s usual dose of demagoguery. This article highlights the difficult position Gov. Dayton and the DFL painted themselves into when they created MNsure while enthusiastically praising the ACA. 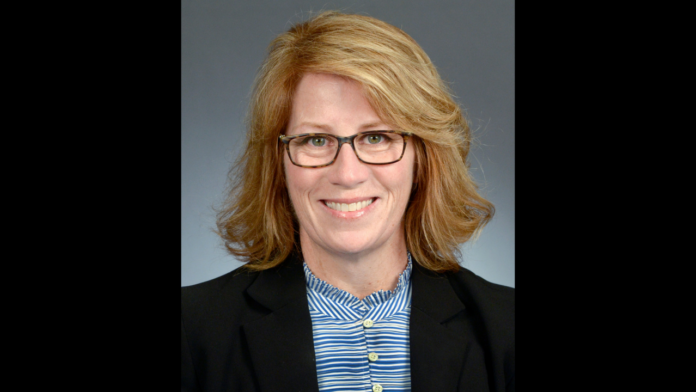 Now that health insurance premiums sold on the individual market have increased by up to 67% this year after increasing by up to 54% last year, it isn’t difficult convincing Minnesota farmers that they need something different. They’re already demanding change. With Democrats, the only thing we shouldn’t expect is them doing the right thing the first time. Even if folks do sign up and get a plan, they will learn what a “narrower network” means. You might have to drive by your old doctor’s office and your town’s hospital and travel to another town for care. Patients will lose their doctors, and access to a major provider like Essentia in Northeast Minnesota. In September, I met a mom whose 12-year-old son is being treated at Mayo for two brain tumors. She can’t take him there anymore because no policy she can buy will pay for it, and she doesn’t know what to do. I just spoke with a loyal reader of LFR whose family lives in northern Minnesota. I confirmed that networks up there are tiny to the point that some people’s hometown hospitals aren’t in their networks. Yesterday, I read a sarcastic comment that the best thing about the ACA is that it eliminated the need for picking between which insurance company they’d prefer to purchase. On the serious side, it’s heartbreaking to hear about this woman’s crisis. We must reconnect Minnesota patients with the best care in the world. To do that, we need to strengthen the private insurance market by resuscitating the ability of consumers to buy insurance plans for 2017. That will mean that we need to offer direct consumer assistance and more choices for people who are buying plans right now. We can’t take no for an answer from the feds who stuck us with this awful thing, and frankly they should pay for it. Longer term, we must admit that MNsure needs to go. 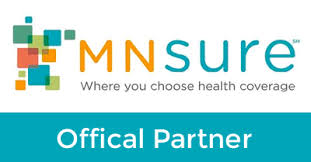 MNsure was envisioned to serve the very people it is hurting most: those Minnesotans unprotected by a big company plan or a government program. We need to replace it with what worked in Minnesota. We need to re-establish our nation-leading coverage plan for high-cost enrollees and offer support to the private market, not unfair competition by a bankrupting “middle-class Medicaid” plan to drive private insurance out of our state. In an exclusive interview with LFR, Matt Dean has confirmed that he’s thinking about running for the seat left open by Michele Bachmann’s retirement. A commendable thing happened last week after the Minnesota House failed to override Gov. 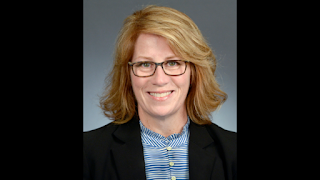 Tim Pawlenty’s veto of the bill preserving General Assistance Medical Care (GAMC) for the very poor: The two House members leading their respective parties’ efforts on the matter, DFL Rep. Erin Murphy and GOP Rep. Matt Dean, just kept working. Constructively, too. On Friday, a deal was struck that has the blessing of the Legislature’s top leaders in both parties. It’s expected to go to the full House and Senate this week. That praise was written by Lori Sturdevant, one of the most openly liberal writers at the Strib. It’s important to note that the compromise was built on conservative principles. House Majority Leader Matt Dean (R-Dellwood) is doing his own inquiry into how the Minneapolis Public Schools spends it money after reading this Star Tribune report. The story revealed Superintendent Bernadeia Johnson’s decision to award $270,000 in retroactive raises to central office administrators at the same time the district cut more than 100 jobs including 52 teaching positions. Rep. Dean started this investigation right after a long, tough legislative session. He saw money being spent foolishly so he started an investigation into the mismanagement. The Sixth District needs a congressman a) whose principles are solidly conservative and b) who pays attention to the details on whether government is doing its job or if it’s failing the people. If Rep. Dean decides to jump in, I suspect that announcement will come sooner rather than later. UPDATE: Welcome Powerline readers. Follow this link for more information on the early shape of the race. Rep. King Banaian’s Friday night townhall meeting started with opening statements from Rep. Banaian and House Majority Leader Matt Dean. It was followed by a pair of questions about whether the bonding bill would include money for affordable housing. During his presentation, Majority Leader Dean talked about his conversation with a businessman who wants to invest $300,000,000 in Minnesota in the context of the importance of reforming Minnesota’s permitting system. He said that the businessman was thankful for the 2 permitting reform bills passed. Then the businessman said that Gov. Mitch Daniels, (R-IN), just signed a permitting reform bill. The bottom line is that he’d be up and running in six months in Indiana. It would take five months to get the permits in Minnesota. That’s before talking about the costs involved in waiting in Minnesota. Then there’s the higher taxes Minnesota businesses pay. The last 40 minutes of the meeting focused on photo ID-related issues. One woman asked why a person would commit voter fraud knowing that they could get caught and put in jail. That’s been popping up in the DFL’s arguments quite a bit lately. It’s a flimsy question. There’s a huge prison sentence in most states if a person commits second degree murder. Despite the fact that there’s a huge penalty, people still commit murders. One gentleman identified himself as an election worker. He said he’s been working elections a long time. He said he hasn’t seen voter fraud yet. St. 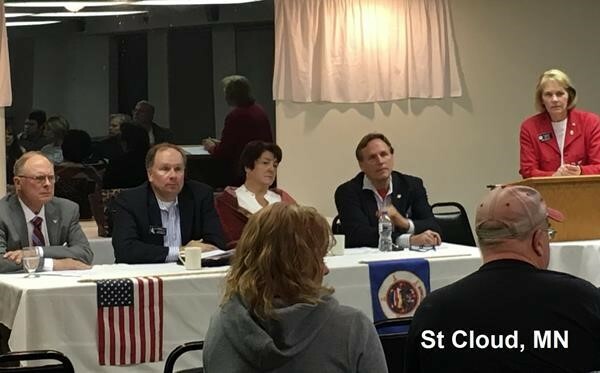 Cloud City Councilman Jeff Johnson highlighted the fact that there was something in the newspaper about someone getting convicted of voter fraud in St. Cloud recently. INVESTIGATOR: So that’s it? It’s just kind of the honor system? WORKER: Yes, I guess, it’s, I mean, it’s been that way for many, many years, that, you know, Minnesota’s been an after-the-fact type of state. And, now, we do catch people, that do things, and they’re investigated and charged. But it is, you know, after-the-fact. King quickly summarized, saying that there were 11,000 votes cast in his race, which he won by 13 votes. He told the attendees that 13 votes is statistically insignificant compared with 11,000 votes. The other major topic of discussion brought up during the meeting was the need for higher education reform. Councilman Johnson approached the subject by saying that he’s been pleased with how elected officials stay in touch with their constituents through townhall meetings. He then asked Majority Leader Dean and Rep. Banaian if they could name the MnSCU trustee representing the Sixth District. Finally, he said that he knew of no instances where any of the trustees had held a townhall meeting or met with a business roundtable to see what their needs or concerns were. The point, he said, was that the Board of Trustees wasn’t staying in touch with the people they’re supposed to represent.